Opening hours: Open all day long during summers, lots of boutiques are closed during winters or scarcely open. An absolute open-air museum, the city is pure amazement. The impressive nature and the rich history gather to make the city a pure gem. You can stroll around the city all day and night long, you will always find something new. You will also likely find your favourite beach among the 40 kilometres of sandy coastline in and around Bonifacio. These King of Aragon’s steps are for the ones who are not faint hearted! The vertiginous view over the sea and the city is breathtaking. Legend says that these steps on the cliff were created in one night only to allow the king of Aragon to escape from the siege of the city. 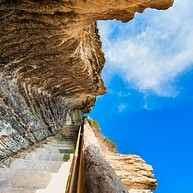 Be careful, the steps are very steep and you will need courage to climb them! 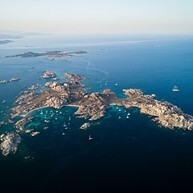 On the south-east of the Lavezzi Islands lies a well-known diving site in Corsica: Merouville (Grouper-city). 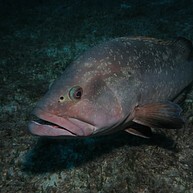 You can dive surrounded by friendly groupers. They are not at all shy and some even enjoy being petted by swimmers. These fish are protected by law. 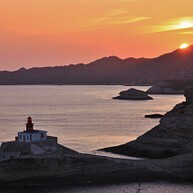 Several companies rent out material and boats and organise tours in Bonifacio. 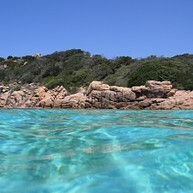 In waters as clear as the Caribbean ones, in a fish haven lies a small archipelago called îles Lavezzi. All in granite, the austere decor must not make you forget the beauty and the serenity of the place. The inhabited islands were the place of the wreck of the Semillante, a French frigate, in 1855. Be sure to bring water, food and parasols as there are no shops. You can access the islands by renting a boat or take a shuttle boat. One of the most famous postcard views of Bonifacio! Le Grain de Sable (Grain of Sand) is a block of granite standing on the sea and detached from the mainland cliff. Ranked by Le Figaro as one of the most beautiful beaches of France, La Plage du Petit Spérone draws its name from the gulf of Spérone. After 10 minutes of walking from the beach of Piantarella, you will feel on the other side of the world. The pure waters and fine golden sand will sweep you away to the tropical islands. This beach is also good to know for one reason: even during the busiest months, it is almost never crowded. This small church, next to the harbour, is dedicated to Saint Erasm, the patron saint of seamen. Few benches, few decoration but a spirit of quietness and contemplation. 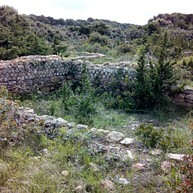 Next to the Piantarella beach, you can find ruins of a roman complex. This huge villa holds stables, therms, offices, workshops, salt warehouses, a private port, apartments and even a dry dock to repair boats. The total surface was 3 600 square meters. Nowadays, only the ruins remain which give a charm to the beautiful landscape. The land they are located in is privately-owned but you can perfectly see them from the outside. If you like to go hiking and you are not afraid of heights, then you should go to the Persuato Lighthouse. 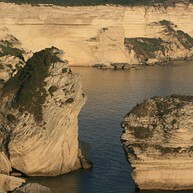 After a two-hour walk from Bonifacio, you'll find yourself on a cliff with a breath-taking view. The main church of Bonifacio is hidden on a small street but is worth a short visit. The altar, the columns and the rose window are spectacular. The building is classified as a Historic Monument. It was built in the 12-13th century. 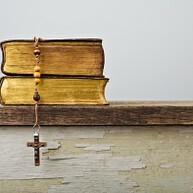 During Easter, religious parades leave and arrive from there. Well known as a surfer spot, the Tonnara Beach is very windy and you must be careful if you want to swim. 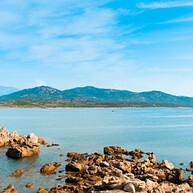 The beach is also a very romantic place with one of the best sunset+watching spots in Corsica. You can rent sea kayaks and if you are hungry, two restaurants offer some food. Considered one of the most beautiful golf courses of the world, Le Golf de Spérone offers the possibility to play over the stunning turquoise sea. The eighteen-hole golf course is renowned and attracts tournaments and golf athletes. Protected from the wind and the Strait of Bonifacio, the Paraguan Beach is a safe haven for fish, as fishing is restricted. You have to take a nice walk in order to reach this tiny beach, but the walk is certainly worth it. Beware of the jellyfish during the summers, they often get washed up on the shore. 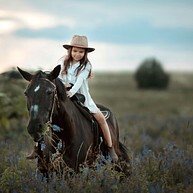 You can discover the beauty of the region on horseback. 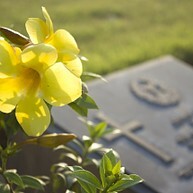 Tours are organised next to the sea and beaches or in the countryside. You can also swim with horses. From April to October, every Thursday, Bonifacio invites you to discover polyphonic songs, a Corsican tradition and listed as UNESCO World Heritage. Famous Corsican bands come and share their passion for these moving songs. This place of contemplation overhangs the sea. Its reputation is well established in Europe. Situated on the Bosco plateau, a few steps from the Saint François Church and facing the sea, the marine cemetery attracts photographers, especially during sunsets.